To call video rental stores an endangered species would be generous. From over 19,000 video-rental stores thriving at the era’s peak, only around 2,100 remain today. The North Pole Blockbuster (320 N Santa Clause Lane), long thought to be the chain’s last stronghold, shuttered for good last March. And on Ebay — that final litmus test for when a cultural staple becomes a cultural artifact — Blockbuster membership card listings go as high as $5000. And yet, either because of this extinction event or in spite of it, Beyond Video opened its first brick and mortar spot in Baltimore last fall. 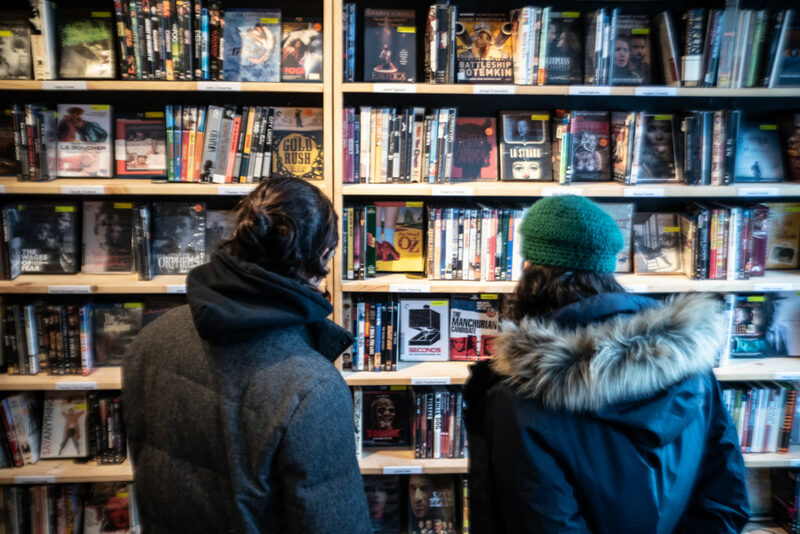 With a nonprofit business model that’s as surprising as it is inspiring, Beyond’s dedicated volunteers and stacked shelves of hard-to-find films just might suggest a way forward. 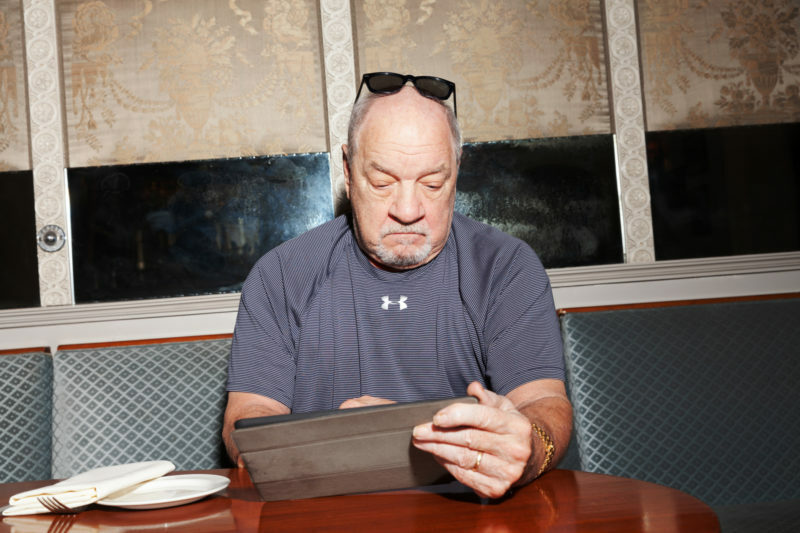 We recently caught up with founding member Eric Hatch to better understand why video store culture is worth preserving — and get the scoop on where John Waters is hanging out these days. 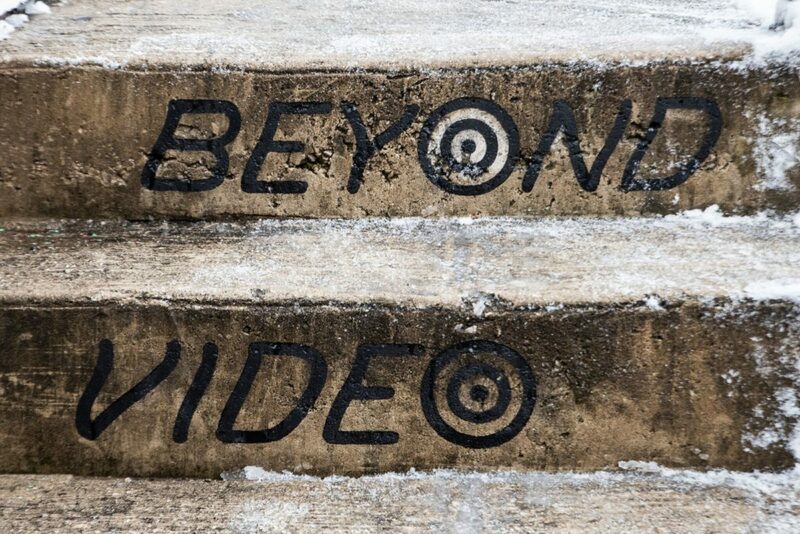 How did Beyond Video begin? The genesis was several years ago when a beloved video store in Baltimore called Video Americain closed. 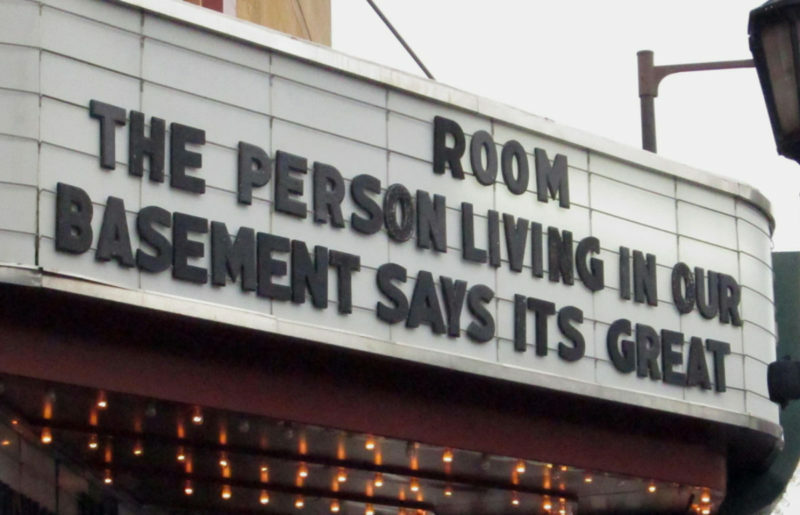 It was around for about 25 years and was the hub for arthouse home video. Had a great Director's Wall, Indie, Foreign, and Classic section, that sort of thing. It was a really pivotal place to most film lovers in the area. You can actually see it in John Waters’ film, Serial Mom. So when Video Americain started the process of closing, a group of us got together initially just to see if we could get funds and a deal together to keep it open in some form, which didn't work out. But we kept meeting and slowly got the idea that we would try to crowdsource a new collection. Then, a year-and-a-half ago, a landlord offered us this space a couple doors down from the main rock club here in town, the Ottobar. It's an old school Baltimore row house that at one point had housed a punk and metal record store called Reptilian Records. Once we connected with that space, we launched a KickStarter. I believe our goal was $30,000 and we hit $32,500. An anonymous donor who, to this day, we still don't know who it is, came up with $10,000. Once that momentum was there, it just took off. Do you feel like Beyond reflects a film culture that is specific to Baltimore? Yeah. It really does reflect Baltimore. I mean Baltimore is a very DIY place. Most of the cool things here were very self-started because, even more so I think that most American cities, the infrastructure is really falling apart. The city priorities aren't always in line with the people's priorities. There's an amazing music scene. There's lots of visual art culture and movie buffs. But people have to figure out and do things for themselves. This project is very much in that spirit. And you all are a non-profit. Talk to us a bit more about what that means. We configured it as a non-profit venture from the beginning. When Video Americain closed, it wasn't necessarily saying, "Hey, this business model absolutely cannot survive in Baltimore," but it was showing that it was a fight. Our first instinct, which is still the way it is, was a co-op model with a pool of volunteers. As of now, we're not a seven days a week operation. We are basically just volunteering our time, and one of the things that's been really lovely is when we explain our project to customers, they really get it. No one expects a 12 hour day, seven days a week video store anymore. They're showing up where we're open and really appreciative that we exist at all. It's been heartening to see so many young people coming in, people who are probably too young to actually remember video stores. Is there a typical Beyond Video customer? It is all over the place. Anyone who is coming to us, other than a few curiosity seekers, are usually cinephiles, but everyone has a different spin on that. There's people who are just looking for obscure classics. Probably 2/3 of our rentals come off our Director's Wall. I think people have missed that sort of browsing experience. It's been gone from Baltimore for about five years, and other than FilmStruck, which isn't with us anymore, there isn't really a good interface providing access of a canon online. 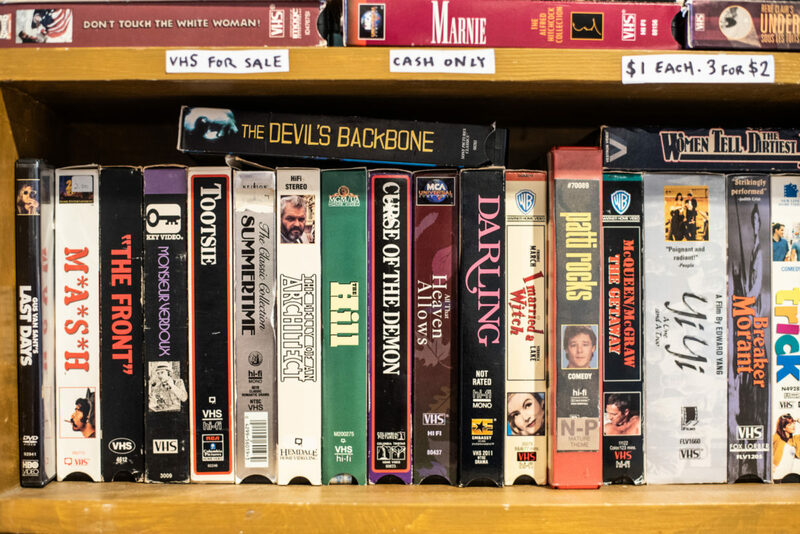 It's been heartening to see so many young people coming in, people who are probably too young to actually remember video stores.There’s equally as many older customers who never completely fell in love with streaming in our store as there are younger people who never experienced video store culture and are super excited. How do you stock your library? At first, we all donated core items from our collection and found a lot of great deals on used video formats. When filmmakers and distributors started sending us stuff, it helped make it more real because the collection got that much more comprehensive, and there was momentum there. You guys sent us a really generous donation when we opened, so thanks for that vote of confidence. Our online wish list has really transformed the collection. We've identified key titles we don't yet own and blast it out on social; it's resulted in a few hundred people from all over the world sending anywhere from 1 to 250 items apiece. A Twitter friend in UK sent the beautiful Alan Clarke at the BBC box set in its entirety! 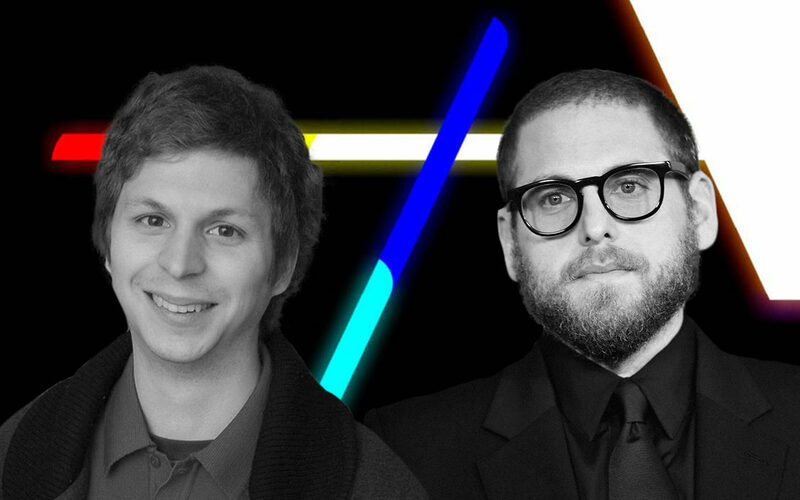 It's felt like a great internet thing in a world full of terrible internet things. Do you have a favorite Beyond title? We have many out of print titles. My favorite movie of all time is Possession, so I bought the velvet, Blu-ray box-set, and it's been heartening that it's been hard to keep that on the shelf. Lucrecia Martel's movies are always out, like the space is almost always empty in her section which is great. I didn't expect that. One of the members of our collective was the co-director of the film Sylvio from a little more than a year ago, and we have one of 50 VHS copies that exist in the world. There's a lot of cool niche stuff like that. We saw on Twitter that First Reformed was one of your top-rented titles in December! Every customer has their own passion, which is so awesome, but I think we did have a have a lot more contemporary stuff than people expected from us. First Reformed, as you mentioned. Also, Sorry to Bother You was big. So that's been a nice surprise. It feels like a full service video store. I think people expected it to feel a little more niche and more random in its selection. Was month one of business everything you hoped for? It was even better than we hoped. The initial goal we had was 100 subscribers in the first month, and we got about 150. 100 is basically break even sustainability, which we want to do better than that. We don't want to just be turning the lights on. We want to be able to order new, exciting titles. But, it’s been an instant show of support that at least we will be open for a good, sustained period. You're one of the last-remaining video stores. Do you guys have a network or community where you all chat and check-in on each other? Definitely, we all communicate. Every video store I find that's still around, I try to connect with. I know Queens is still around in Toronto. There was an article maybe about six months ago on The Black List by Kate Hagen, "In Search for the Last Great Video Store," that I was interviewed for that connected me to Vidiots in LA and a few others. It’s been awesome. Do you have any early memories of first trips to video stores or remember why that culture was so impactful to you? I had an unusual upbringing. I grew up in a suburb and didn't have a TV, it was my parents' choice. They wanted me reading. So video stores became this place that really fired up my imagination. I would love going in video stores and looking at the boxes, and imagining these worlds. And when I was at friends' houses that had a TV and VCR, it was like, “Go time!”, and I was so excited to finally be seeing some of those movies I’d been trying to imagine for so long. I had that childlike excitement that you have with moving images still as a teenager because I hadn't had much exposure to them. And as soon as I was out on my own, Video Americain, the aforementioned Baltimore store was just my haunt. I was working a day job and going there every single day, talking to the employees and learning as much as possible, and eventually I just gave up and started working there. We know John Waters was an early supporter of Beyond Video. Has he stopped in yet? I haven't seen him yet, but he was in Video Americain pretty regularly back in the day. I was so starstruck when he would come in and talk to us and still am when I see him around. I reached out when the project was in the Kickstarter phase, and he gave us that quote of endorsement, and said he's really excited to check it out. I’ll let you know when he comes in and what he checks out!